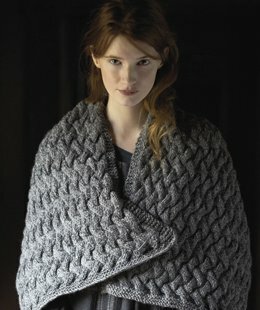 Taken from Rowan Pattern Books - Purelife Autumn: This chunky wrap is knit in lattice style cabling. This pattern is in Rowan Pattern Books - Purelife Autumn, page 66. Finished Measurements: 47" long and 18" wide. Color Shown is #686 Truck.